Final Issue! What a SPECIAL BOOK!!! 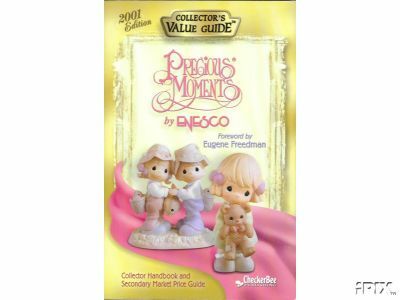 This 304 page collector handbook & secondary market price guide features pictures, information & secondary values for Enesco's Precious Moments figurines from pre-1981 to the present. Unfortunately this sold out 2001 issue is the last because the publisher CheckerBee is no longer in business. So be sure to secure a copy of this last edition. This Value Guide is unread & from a smoke free environment. Items Similar To "Rare 2001 Precious Moments Collector's Guide"